“Who wants to Play?”, pierced and etched, sterling silver and bronze. 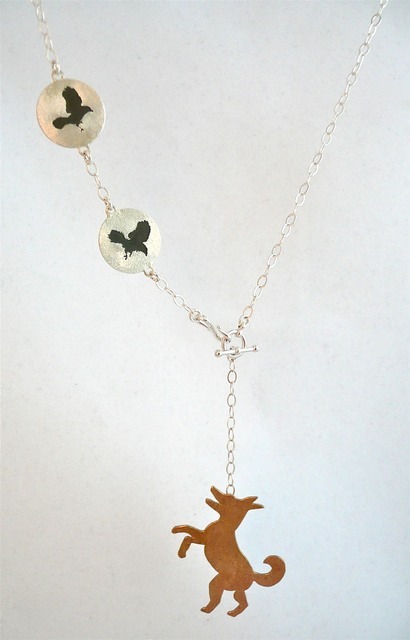 Removable dog drop 3.5”, necklace 18”, 2013. Sold.